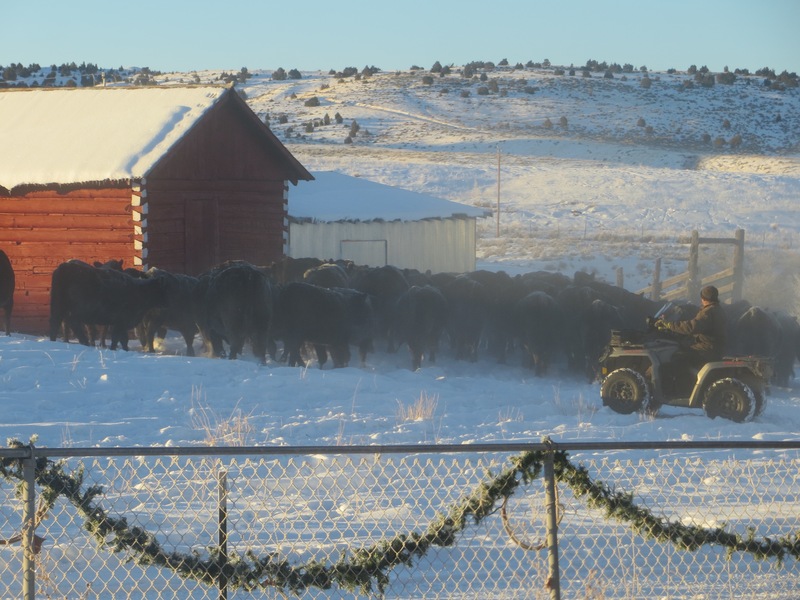 and some of this… Led me to sit here and relax when everyone else went to Riverton today to see these heifers sell. I was very happy to read and clean and watch and create and dismantle Christmas ALL BY MYSELF. Darling picture! You are so fortunate to have them near! 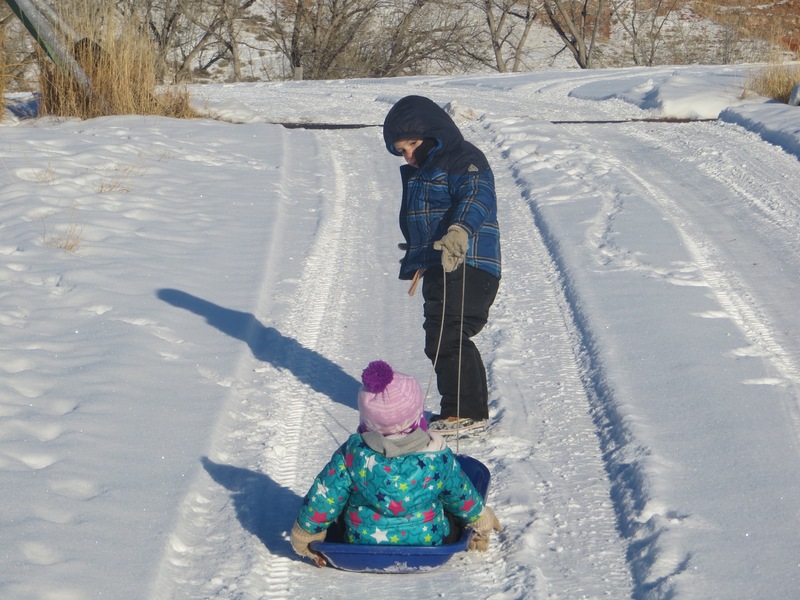 The pictures this morning remind me of taking my two children when about that same age fifty years ago (now 53 and 54) out sledding to a hill not far from our house every chance we got as soon as their dad went to work! I didn’t get to do it with our grands, living in Texas and Oklahoma, like the other side of the world! However once when we were in Tulsa, there happened to be snow so I did find a nice hill to enjoy it once with our grandson. Nice memory. They are so cute with their rosy red cheeks! What fun. Quinlan looks like a strong little dude, and Lorelei is lovin’ it! So sweet. 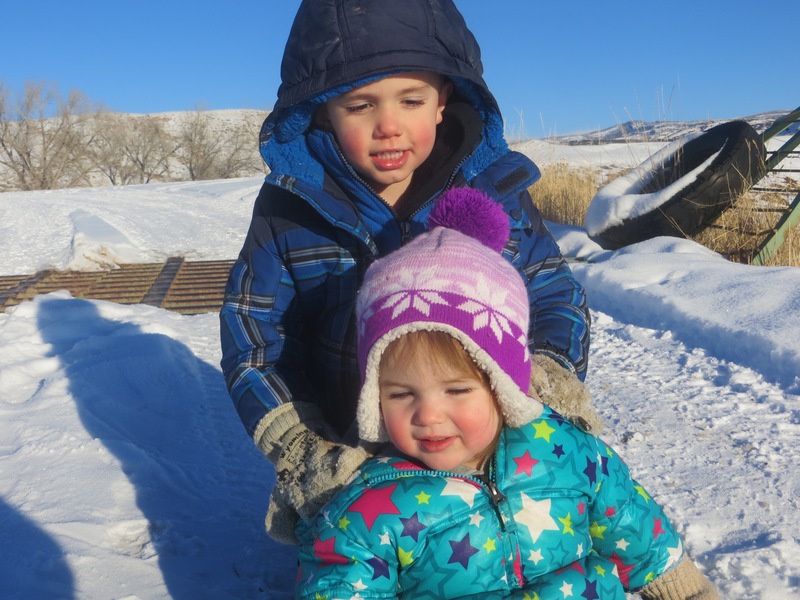 Lovely to see Quinlan and Lorelei enjoying the snow. Glad you had a good time with them. Getting colder this side of the pond.